No matter what interior you have in the kitchen or dining room, there is a colour to suit everyone’s taste. These colours have been specially designed to give a unique and modern look to the teapot and add a cheerful splash of colour to your brewing. 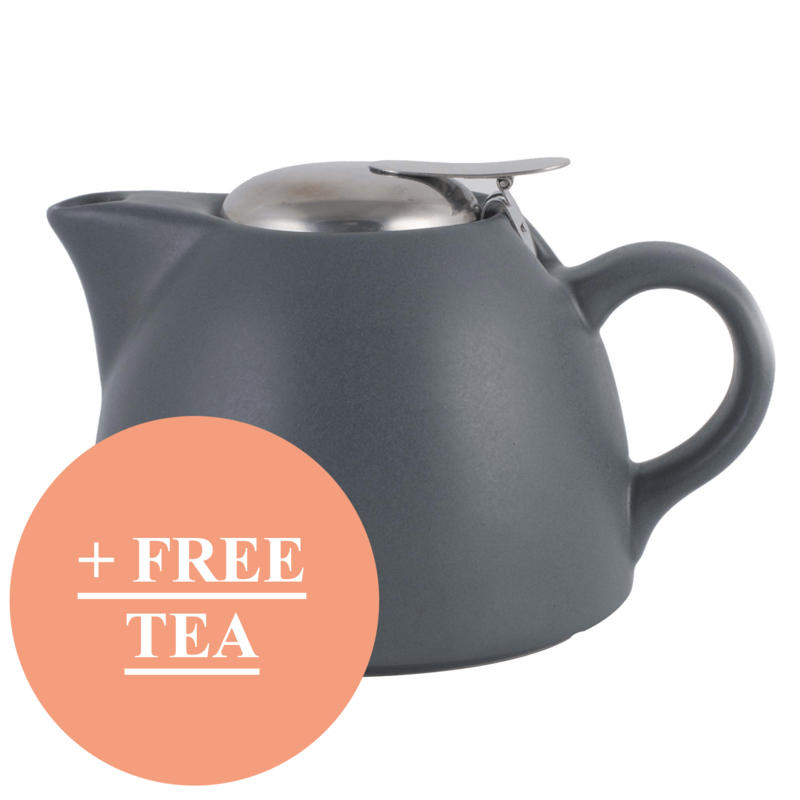 The Barcelona teapot has a stylish and modern look, with a porcelain body and stainless steel infuser. The quirky finish, combined with 4 great colours (Retro Blue, Pistachio, Red, Cool Blue) makes for an eclectic addition to any tea lovers kitchen. The product comes in a 2 cup and 4 cup size depending on your drinking practices, and the infuser is detachable so it can be used with loose leaf or regular bags. We have over 18 different types of loose leaf tea. If you’re unsure of which to try first, take a look at our simple guide to buying the best loose leaf tea. It is important you keep your brewing accessories clean after each use. A build up of product of old beverage residue is not only unhygienic and bad for health but it will also affect the taste of your drink. To thoroughly clean this product, we recommend cleaning each part separately. For a general clean, use hot soapy water. However, if you see limescale building up over time, you can use bicarbonate of soda to help get the inside even cleaner. The great feature of this La Cafetiere product is that the infuser is removable for easy cleaning and maintenance. When purchasing this la cafetiere product, you can choose which tea you want to get for free, either early grey or English Breakfast. There is also a choice between a 2 cup (450ml) or 4 cup (900ml). The teapot was invented in China during the Yuan Dynasty. It was probably derived from ceramic kettles and wine pots, which were made of bronze and other metals and were a feature of Chinese life for thousands of years. Brewing preparation during previous dynasties did not use a teapot. Using a teapot is the perfect way to create an inviting atmosphere when hosting friends and family. It creates a relaxing environment where you can leisurely enjoy a fresh pot of tea without having to back and forth in the kitchen making individual cups. It is also a great way to let your guests customise their beverage exactly how they like it – choosing their perfect brew time, amount of milk and adding sweetener. Lovely little teapot just right for the breakfast. The tea filter is brilliant no stray tea leaves and no strainer required. There was a little problem with the first pot a quick call and a lovely lady called Carol sorted it out and had a new one delivered in their own van. I think you can tell a lot about the way a firm deals with a problem and this was fantastic service, thanks folks.